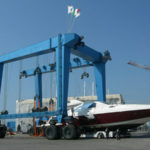 Electric Boat Hoist Manufacturer Provides Cheap Boat Hoist With Reliable Quality Great Choice For Boat! Electric boat hoist is kind of light duty gantry crane. It is perfect choice for light duty. 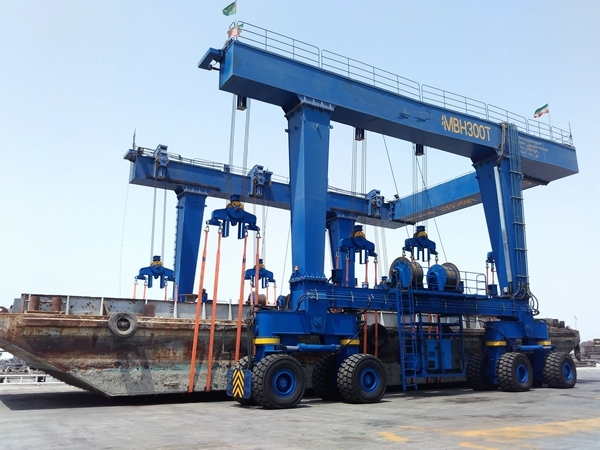 Electric vessel travel lift has terse structure, it includes main structure, travelling wheel block, hoisting mechanism, steering mechanism, hydraulic type transmission system, electric control system, the main structure for the U shape. With simple system, electric boat hoist is very convenient to install, maintain and repair. It can increase efficiency, save much energy and improve working condition. 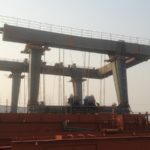 Ellsen Group, a professional and reliable travel lift manufacturer in China, supplies cost-effective marine boat hoists for sale, such as small travel lift, 10 ton boat hoist, 30 ton vessel lift, 50 ton travel lift, heavy duty travel lift, 100 t marine travel lift for sale, 1000 ton high capacity travel lift for sale, travel lifts for water sport meetings, aquatic clubs, voyages. 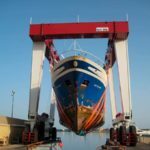 According to practical conditions, customers can choose suitable electric boat hoist from Ellsen! 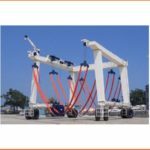 Why choose electric boat hoist? For convenience, this kind of machine has light weight, it is easy to move around. 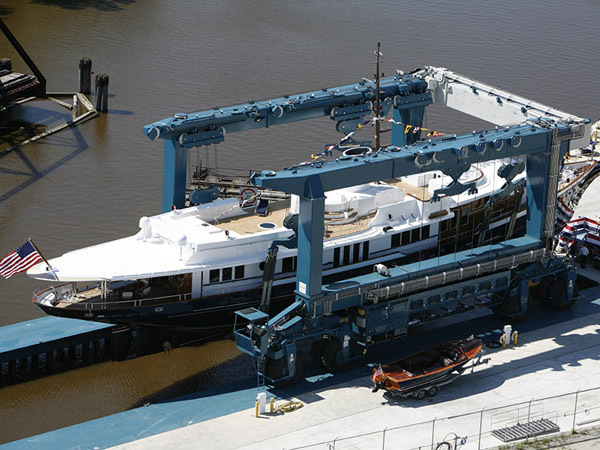 With terse structure, boat hoist is very simple to install, maintain and repair. This can save much energy and improve working condition. 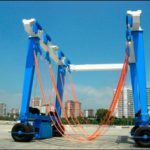 For safety, this kind of gantry crane has complete safety protection devices, such as overload protection devices, emergency alarm devices, over-speed protection device. These devices can avoid accident, reduce failure rate and prolong travel lift’s service life. For functions, electric boat hoist can be amphibious. 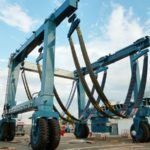 It can be used for lifting boat from water or putting boat into water, it is also used for boat maintenance or construction on the land. For price, Ellsen provides electric vessel hoists with factory price! 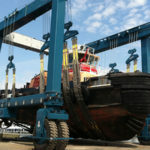 Ellsen vessel hoist is a cost-effective choice! Buy great electric marine boat hoist from Ellsen!